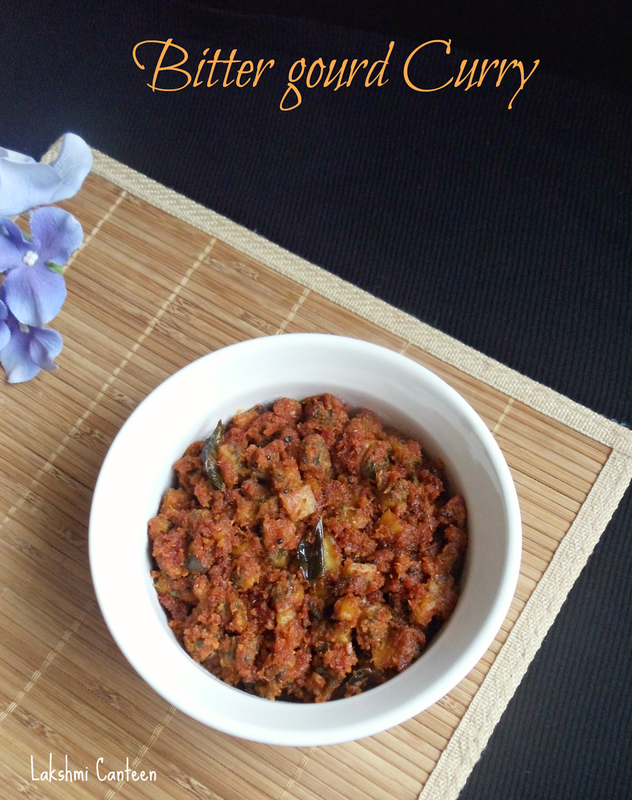 Karathe Sukke is a coconut based dry curry. The bitter gourd is simmered on a low heat in a spicy coconut paste. 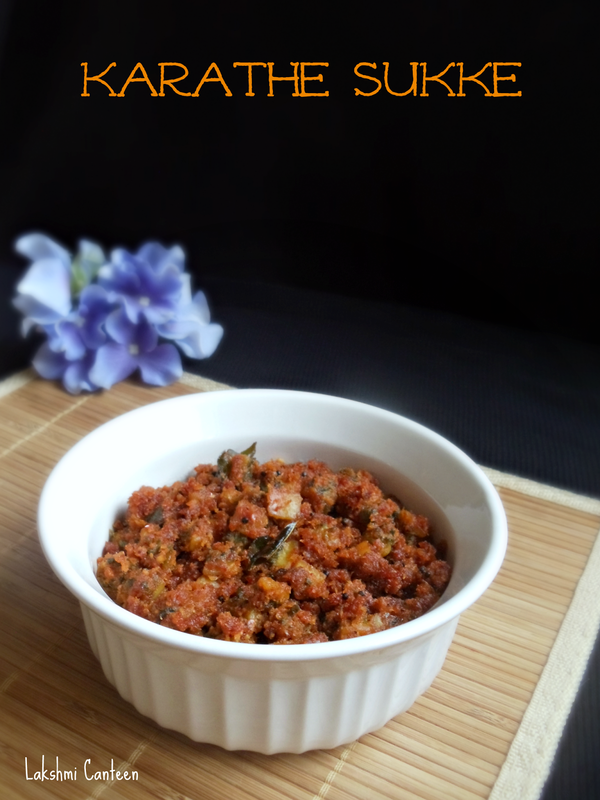 The spiciness is very well balanced by the addition of jaggery and tamarind. A bite into this dish and you can get the spiciness, sweetness, tanginess and slight bitterness all at once. Clean the bitter gourd, chop off the ends. 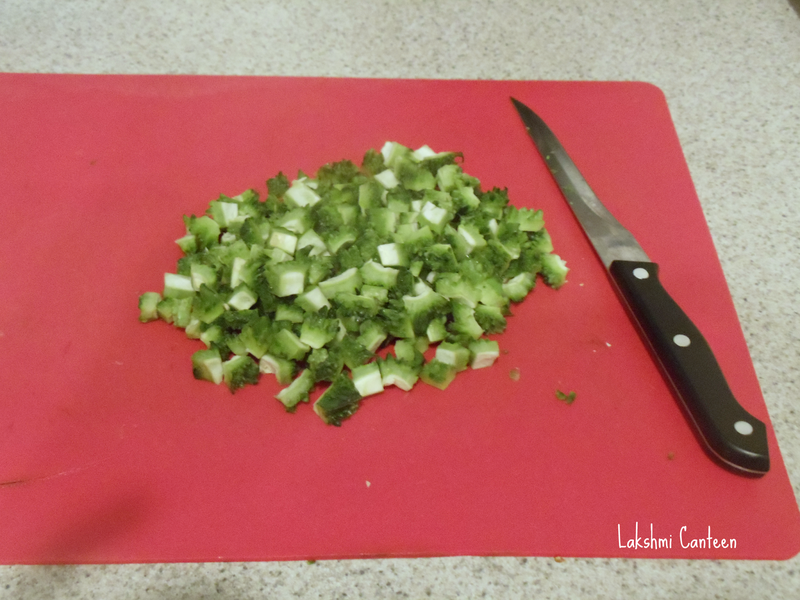 Cut it into small cubes and discard the seeds. At this point you can choose two different route. 1. Retaining the bitterness of bitter gourd in the final dish. 2. To cut down the bitterness - Apply salt to the chopped bitter gourd and set it aside for 2 hours. Then squeeze it hard to remove the bitterness. or you can also cook the bitter gourd in water until soft and then discard the water. I chose to cut down on the bitterness. Hence boiled it in water and then discarded the liquid in which it was cooking. Heat little water in a saucepan and add bitter gourd pieces. Cook it until it slightly changes color. Then discard the water and set it aside. 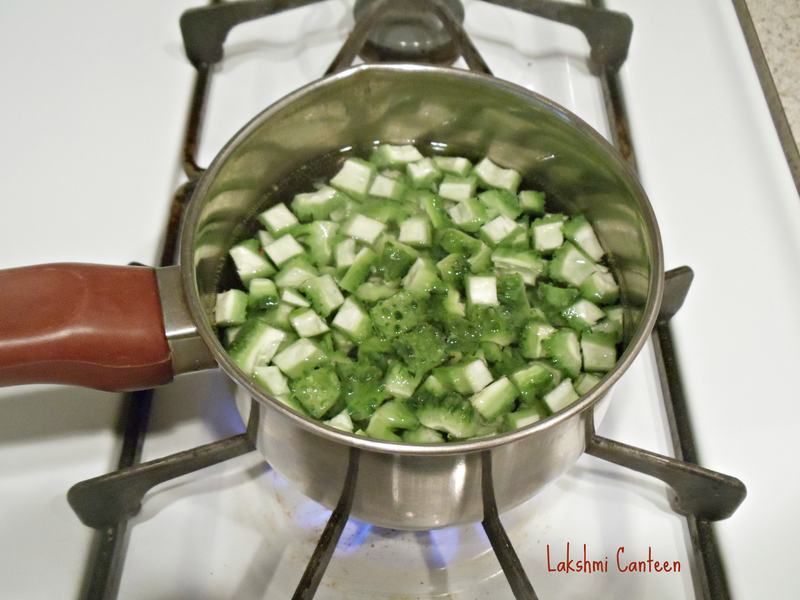 While the bottle gourd is cooking, prepare the masala. For Masala - Fry urad dal and coriander seeds in few drops of oil until it turns slight brown. 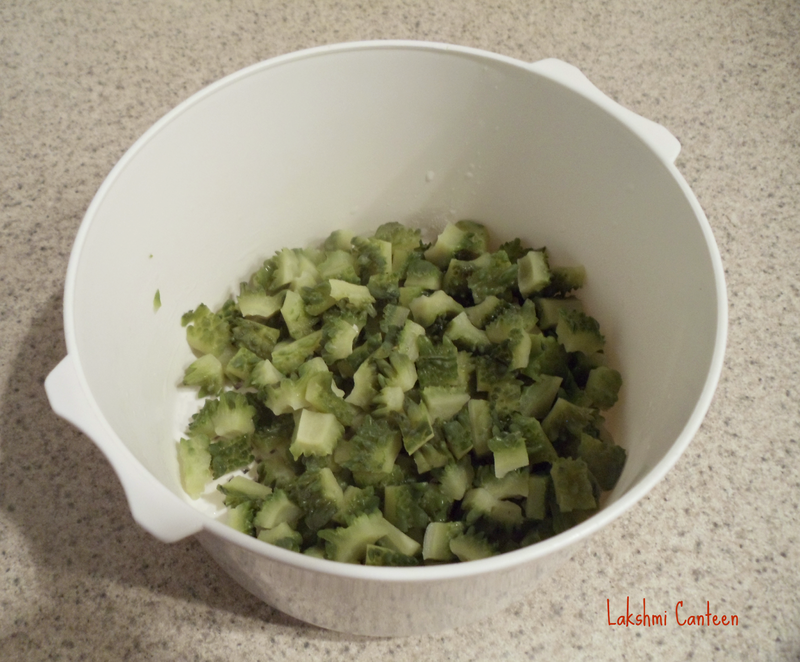 Then transfer it to a bowl for cooling. In the same pan, add few drops of oil and fry dry red chilli for a minute and transfer to the same bowl. 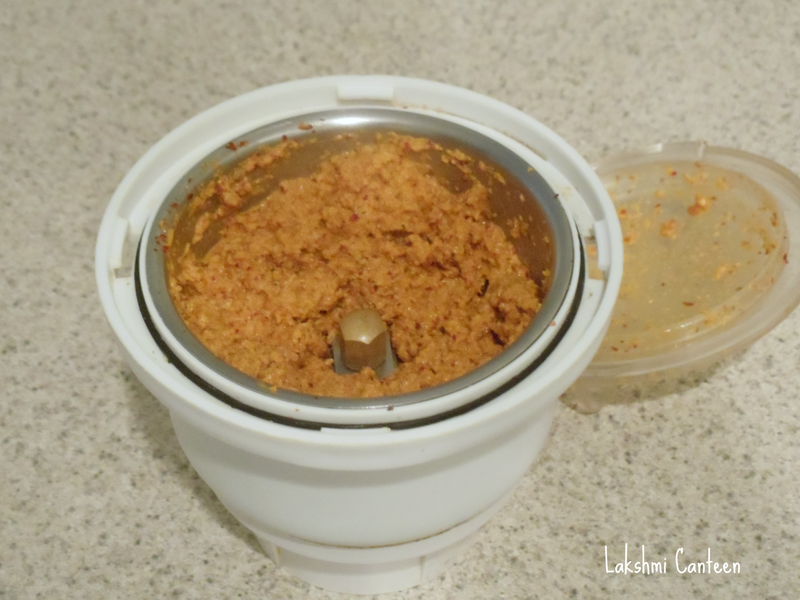 Now take grated coconut, roasted red chilli, roasted urad dal and coriander seeds, tamarind and little salt in a blender jar. Add little water and grind it to get a paste (the ground paste should not be very fine). Masala is ready. Now heat oil in a pan. Once hot, add in mustard seeds. After it splutters, add in curry leaves. 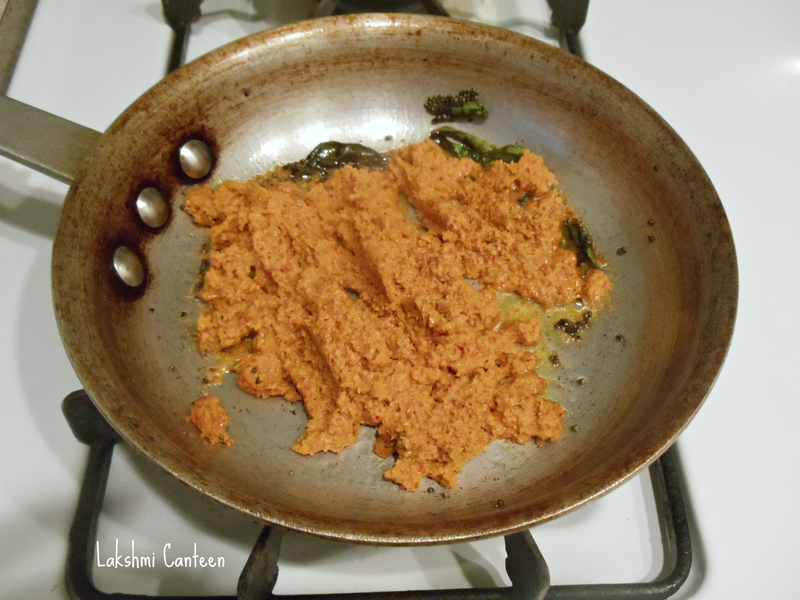 Then add the ground masala paste. Fry it for a minute (if you have not cooked the bitter gourd earlier then add it after curry leaves along with water. 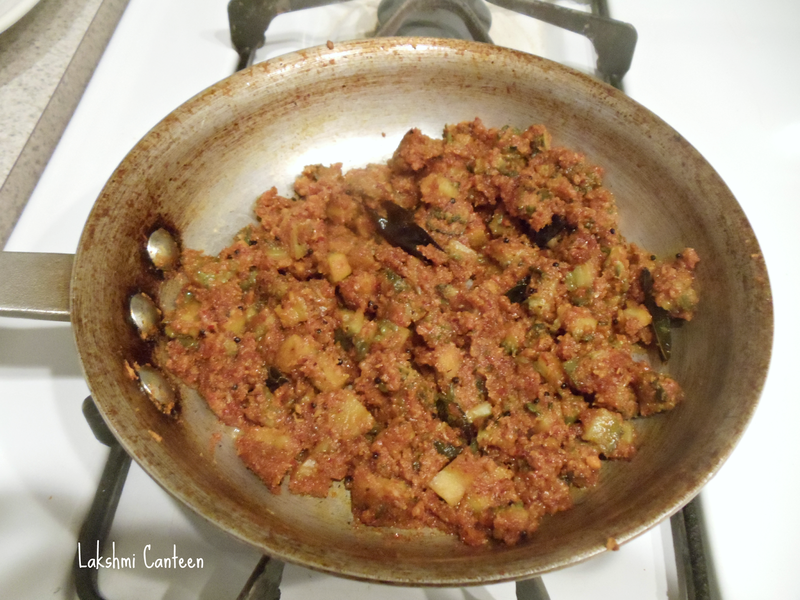 Once it is cooked, then add the masala). Then add in the cooked bitter gourd. Add jaggery and little water. 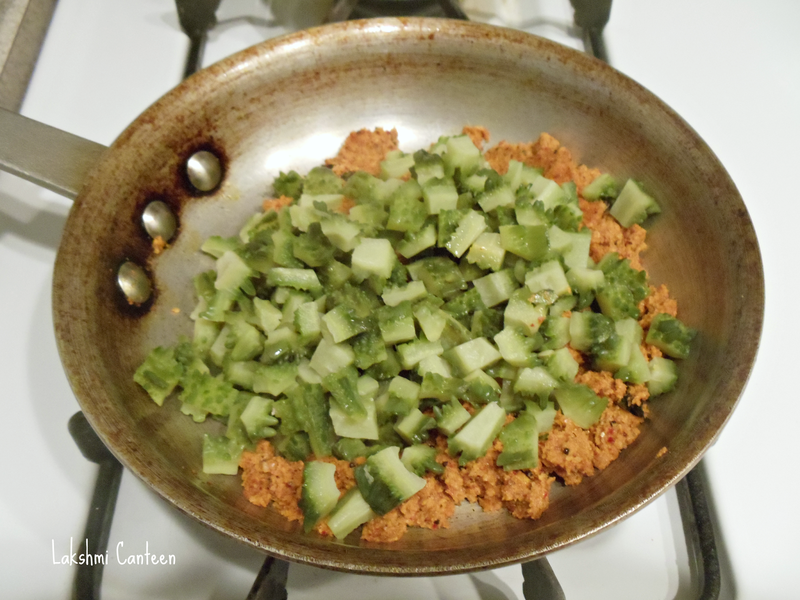 Mix well and lower the heat to medium low. 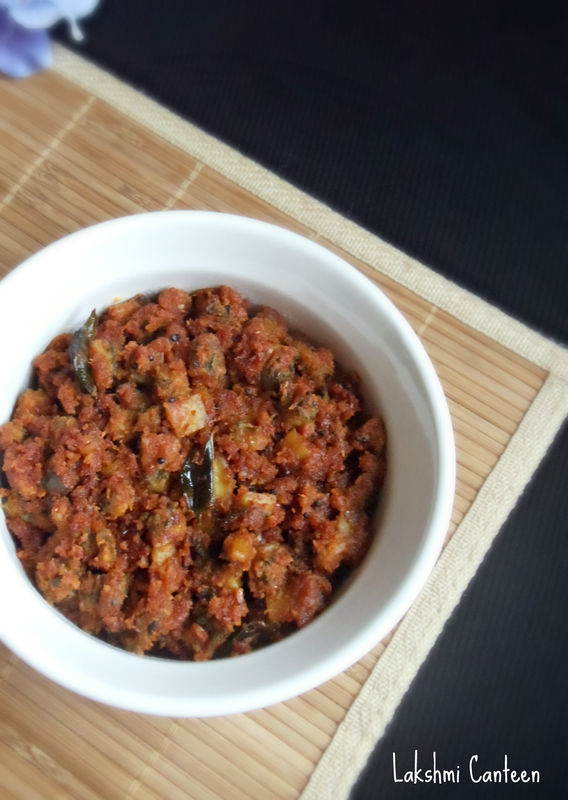 At this point taste the mixture and add jaggery or tamarind or salt, if required.Cook this mixture for 10- 15 minutes or until the oil starts to separate and the curry is dry. Serve it with rice and dal. It also tastes good with dosa or roti. Above measurement serves two people.